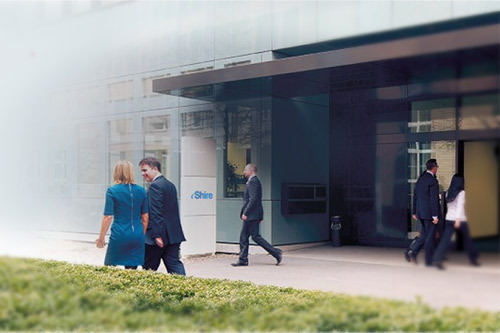 Shire has formed a strategic alliance with Microsoft and the European rare diseases patient group organisation EURORDIS to accelerate the time it takes for children with rare diseases to receive a diagnosis. On average its rare disease patients – around half of whom are children – have to wait for five years before they receive the correct diagnosis for their condition. To help tackle this diagnostic lag and its attendant health and wellbeing impact, the partners’ new Global Commission will develop an “actionable roadmap”, with technology planned to play a leading part in the work. The Commission will be jointly led by Shire’s CEO Flemming Ornskov, Microsoft’s chief medical officer Simon Kos and Eurordis CEO Yann Le Cam. In turn they will bring together a dedicated group that will include technology innovators, patient advocates and healthcare providers to focus on the challenge. Microsoft’s Kos said: “We have an opportunity to harness the power of technology to tackle this painful issue that has affected so many. We’re seeking innovative ways to integrate emerging technologies into our efforts, which will play a critical role as we strive to impact the diagnosis journey. The roadmap will aim to address areas such as how best to identify and diagnose patients, helping patients and their families be more active in their health care, and providing high-level policy guidance on health outcomes in rare diseases. Shire’s Ornskov said: “As a physician with training in paediatrics, I’ve seen firsthand the devastating effect not having an accurate diagnosis can have on patients, their families, as well as on the health care providers working to help them. Accelerating the time to diagnosis is critical to improving outcomes for patients and health systems. The Global Commission will beginning its work shortly and expects to publish the roadmap of its findings in early 2019.